"Al, come down for dinner. The fish is getting cold." Alisah's mother calls out for her. "Ten minutes, Mom. I'm in the middle of something." She yells back. Alisah was busy writing a poem on her blog. She had just come back from work with a poem running on her mind and she just had to pen it down. The words created havoc in her mind and she was typing away frantically mumbling the words along. Her manicured fingers graced the key board and her glasses now sat on the rim of her nose. She paused every now and then, squinting at the screen and thinking of rhyming words. She still was wearing her work clothes but her shirt sleeves were now folded up to her elbows. Her bag was carelessly thrown on her bed and her shoes were at the foot of it. She had a meeting today that had held her up until late. 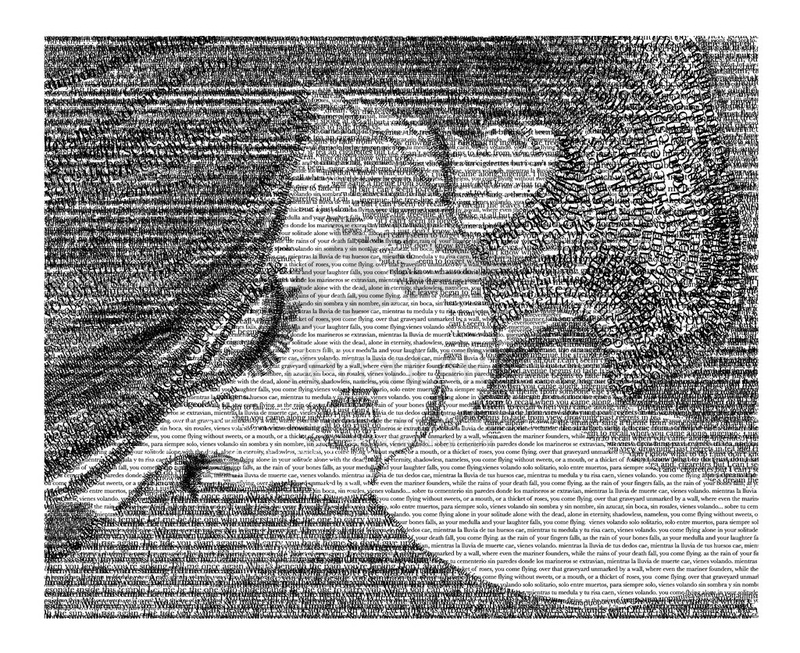 As soon as she got out of her cab, she had rushed to her room to make something out of the words that was troubling her mind. "Al.... Are you coming? Dad and I are almost done." Another call. "Coming." Alisah yells as she hit the 'Publish' button on her blog and gets up from her chair. She rushes to the bathroom and freshens up and changes into her pajamas and her favorite Bat man T-shirt and walks down to the dining area. "Finally. What was keeping you up?" Her dad asks sternly. "Was writing something, Pa. Words were playing Kung-Fu in my head." She says as she carefully pours a spoonful of fish curry onto the bed of rice on her plate. "What is it this time? Poetry or some other writing?" "Poetry. Somehow I enjoy that more than anything else these days." "Like father, like daughter." Her mother scowls at the other two people on the dinner table. Alisah looks up at her dad who is now grinning. "Ignore your mother, Al. She doesn't have one reading or writing bone in her body. You take after me." And after a second he adds, "Thankfully." Her mothers shakes her head and walks up to the kitchen to replenish the bowl of fish curry. After other small talk, Alisah kisses her parents goodnight and walks back to her room on the first floor. Alisah was the only daughter of Mia and Alfred Gonsalves. Her father had worked in the Indian army all his life, and was now enjoying his retirement life in Bangalore. He was an avid reader and had a huge collection of books. He enjoyed poetry and war fiction. Alisah had taken after him when it comes to the love of poetry. Mia Gonsalves ran her own bakery and was very famous in the city. Alisah worked as a content writer for an e-commerce fashion firm and loved her job as it blended both her love for writing and fashion. They lived in the poshest area of the city, in an enviable bungalow. Alisah had the whole first floor to herself, while her mom occupied two rooms on the ground floor for her test kitchen. Her father was comfortable in his study that had ceiling to floor book shelves on three of its four walls. There was cozy table and chair in the left corner where her father spent most of time reading classics. The room adjacent to the study was her parent's bedroom, done up in shades of gold and beige. Her parents were suckers for simplicity while Alisah enjoyed bright bold colors. Her room on the first floor was done up in yellow, pink and teal. Her cast iron bed was pink and her cupboard teal. The rims of the windows were painted yellow and the curtains complemented all the colors beautifully. In one corner stood her working table, that had her personal black laptop on it. As she unlocked it now, she saw that her latest poem had more than a hundred views already. Her mail box showed a few comments and she looked through them before approving them. There always was someone who commented something totally unrelated to the actual post and she hated those comments. This current poem of hers was called 'The Curse' and was about a man who was in love with his neighbor but couldn't have her as she was a widow. The idea was planted in her head by her colleague who told her a similar story that day. Just before she was about to log out and go to sleep, another comment came in. The blogger was someone called Kay. She clicked on his name and it took her to another blog, 'Kay's Musings'. She laughed out a little. Such blog titles were so cliched. Using the words diary, musings, thoughts in a blog's name was so common. Her blog was called 'The Third Eye' and she loved it that way. This Kay's blog was really good. It had a subtle brown layout and dark grey words. He mostly wrote poetry as well. She read a couple of his poems and was impressed by the use of words and his portrayal of emotions. Strangely, she had not come across his blog before nor heard about him in any of her blogger meets. She quickly book marked his page, published his comment and logged out. As she lay in bed in the dark, she quickly drifted off to sleep completely unaware of how her life was about to change. Ah, the blogger connection. Waiting for the next part. Nice to see you here after long, Jyo! Aha! A story about blogs and bloggers. I am so looking forward it. And did I tell you that it's a great beginning. Looking forward to the part-2! Another series from you. Yay!!! I have a feeling that there's going to be an interesting love story coming up between the bloggers :) Don't keep us waiting for long.